I have to admit, I’m not a morning person. At all. My most productive hours are always in the evening through til the wee hours. As a result, my bedtime tends to be around 1am, which means I often wake up exhausted and end up snoozing my 6.30am alarm. I wake up begrudgingly and I shuffle through a quick ‘getting ready’ routine with the aim of getting as much extra sleep as I can before getting out of my flat as fast as possible. Last year, I decided to rethink this approach. In January, I went to a really great yoga and Ayurveda retreat in the Catalan Pyrenees and learnt the significance of a mindful morning routine. While yoga is pretty well known, Ayurveda may be a bit more unfamiliar. It’s an ancient Indian holistic healing system which is over 3,000 years old. It’s based on the simple belief that wellness depends on a delicate balance between mind, body and spirit. Ayurveda highlights the importance of a morning ritual that aligns the body with nature’s rhythm to balance your body and mind. During the retreat, we woke up at sunrise to do pranayama breathing exercises and meditation before an hour long yoga class. Afterwards, I felt so energised. Despite the super early start, I was physically and mentally prepared for the day. I tried to take this approach back to London with me but it’s so impractical to get to bed early enough to rise with the sun and squeeze in a full Ayurvedic routine in before getting ready for work. . My hours at work are ridiculous, then there’s dinner or drinks with friends, blog events, launches or parties…London life is non-stop. While I can’t feasibly wake up at 5am like I did at the retreat, I did take away the importance of taking time to time to set yourself up positively for the day. This is the most effective time of the day to practise mindfulness which will really impact your life, a positive outlook can change your whole day. 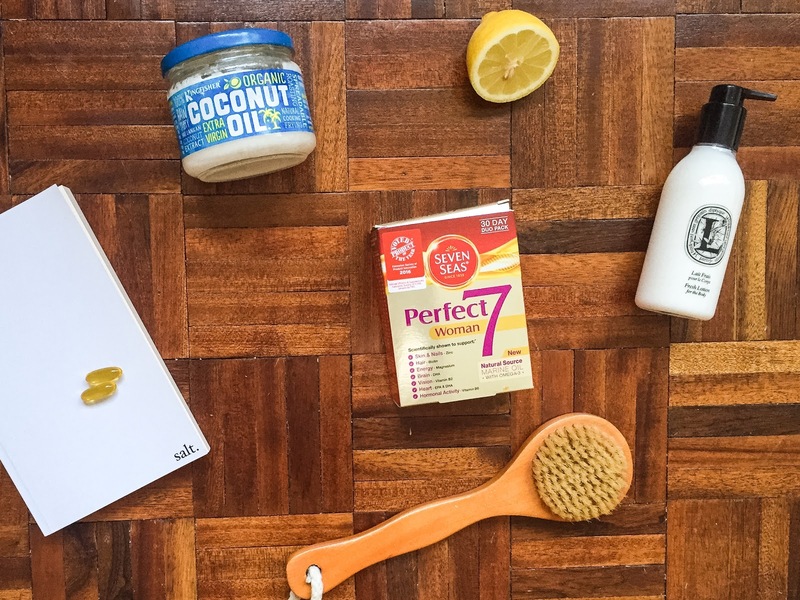 I’ve made my own super quick and easy routine, with a touch of mindful practices as well as some Ayurvedic principles to make sure I get my day off to a great start. By following Ayurvedic principles, I make sure that my body and mind are balanced before I really start my day. It’s so hard to motivate myself to leave the warm, cosy sanctuary of my bed so I start my day with a little positivity while I’m snuggled up. Depending on my mood and what I need for the day, meditate, watch an inspiring talk like a TED talk or read. If I’m especially stressed or anxious, I love doing some meditation to help me centre before starting my day. It’s one of the most powerful Ayurvedic tools for balancing body and mind. There are many forms of meditation, at the retreat I learnt mantra meditation which I found very powerful but I prefer guided meditation in the morning as it’s a bit gentler to listen to someone lead a 15 minute session. Sometimes I just need a little kickstart for the day so I’ll listen to a TED Talk to inspire me. I really loved the fabulous Shonda Rhimes’ talk ‘My Year of Saying Yes’ but there are tons of incredible talks. If I just need to ease into my day, I’ll read. I’m currently reading The Celestine Prophecy by James Redfield as well as poetry by Nayyirah Waheed, Rupi Kaur and Warsaw Shire. Now that my mind is awake, it’s time for my body to follow suit. Along with meditation, yoga is a cornerstone of Ayurveda. I became a yogi long before I started studying Ayurveda and love nothing more than stretching out my body to prepare myself from the day. Ashtanga is my favourite yoga style and as much as I’d love to spend an hour and a half doing the Primary Series each morning, I settle for doing a quick 30-40 routine of sun salutations to stretch and get my blood pumping. It’s a full body workout and the Ashtanga version is physically demanding, the whole point is to warm up the body and sweat. After working up a sweat, it’s time to shower. Before I jump in the shower, I oil pull and dry body brush. Oil pulling and body brushing are both key in Ayurveda, the former helps to detox your system by pulling out toxins while the latter stimulates the skin and lymphatic system to improve blood circulation and help to release toxins. I oil pull using coconut oil but you can also use sesame oil or olive oil. I take a teaspoon of oil and as coconut oil is solid at room temperature, I chomp on it till it liquifies then swish it around my mouth for about 10-15 minutes. Toxins are then absorbed by the oil as the volume of liquid increases. It’s important not to swallow any of the oil as this causes the toxins to get reabsorbed by the body. I then sit the now cloudy oil mixture in the bin – coconut oil solidifies and can block pipes so this is the best way to get rid of it. Dry body brushing can be done with silk gloves, a sponge or a dry brush, I prefer the latter. The massage starts at your feet, using long, sweeping strokes on limbs and circular strokes on your torso. After I’ve finished body brushing, I have a quick shower and moisturise using a beautiful body lotion my housemate bought me from Diptique. The benefits of drinking hot water and lemon are well documented and actually rooted in Ayurveda. Drinking warm water stimulates the digestive system and muscles while lemons help to detox the digestive tract and they are also high in vitamins and minerals. This is one of the quickest parts of my routine and it literally takes 5 minutes. 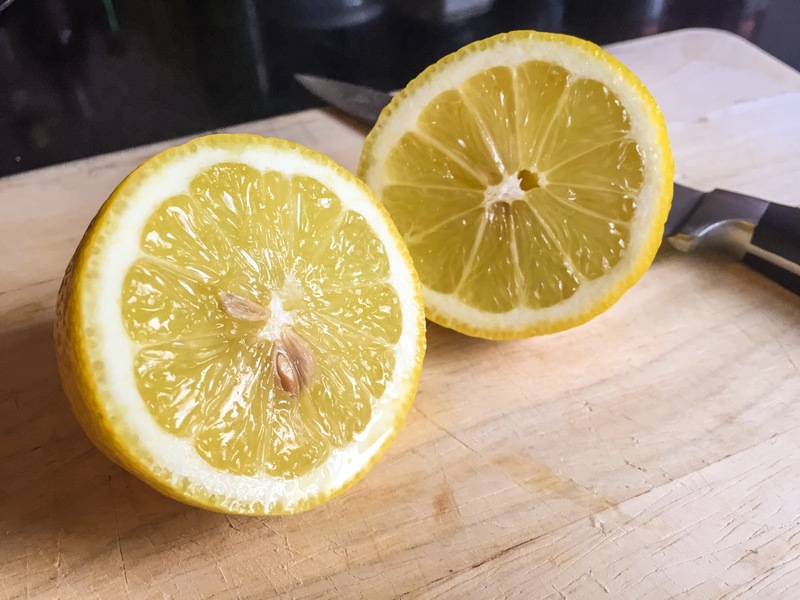 If I’m really pushed for time, I’ll wrap up a slice of lemon and have my morning detox drink when I get into the office. As a vegetarian, I’m super conscious that I’m eating the right food and getting the correct nutrients. Typically, vegetarians tend to be quite low in iron which is why I have apple, oat and spinach smoothies every morning! As much as I can, I try to eat freshly cooked, nutritious food but I’m super conscious of making sure my body is nourished so I take tablets, particularly through winter, to make sure I’m not missing anything. At the moment I’m taking Seven Seas Perfect7 Woman, which are specially formulated for women. They contain the usual vitamins and minerals plus Omega-3 as well as zinc for healthy skin and nails, biotin for healthy hair, magnesium for energy, vitamin B2 for normal vision and vitamin B6 to help regulate hormones. While I haven’t experienced any Rapunzel-like hair growth, I do have a bit of a glow, stronger nails and a bit more of a spring in my step since I started taking them. That’s my little mindful, Ayurveda-inspired routine to start my day with a balanced body and mind.